Utilizing advanced LED technology, the ProBEAM® LED turn signals maximize performance with unique reflector technology and the most superior automotive grade LEDs available. Building upon our famous Dynamic Clusters™, ProBEAM® turn signals utilize automotive grade LEDs to produce an even brighter light output with wider veiwing angle. The outer ring of 16 red ProBEAM® LEDs showcase a smooth red halo that functions as the running light while 12 center red LEDs provide a full-contrast brake and turn signal light for maximum visibility. 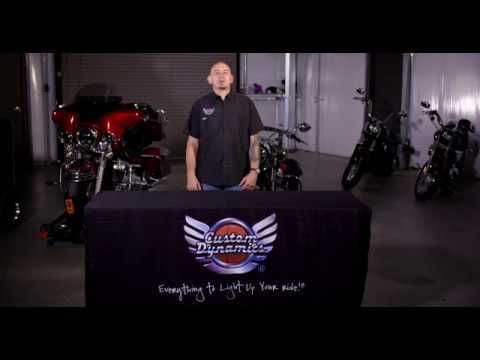 ProBEAM® Front LED Turn Signals for CVO™ also available.